Trading Calvin Klein sunglasses for a phone case – all for a good cause! This week, our Epsom branch was offered to take part in a spontaneous charity fundraising scheme! Eight teenagers came in to branch, with an unusual request. They were taking part in a paper clip challenge to raise money for the Douglas Brunton Centre. The aim of the paperclip challenge is to swap a paperclip for something of greater value. Whatever you swap your paperclip for, you go on to swap again, getting greater value with each swap. Eventually, you can trade something which is valuable enough to sell- and the money you make from selling your item then goes to charity. In this case, the charity chosen by the fundraisers was the Douglas Brunton Centre. The Douglas Brunton Centre is a service offering elderly people health and social services such as art groups, hair dressing and an onsite chiropodist. Offering a transportation service to and from the centre, it’s an invaluable way to keep elderly people integrated in society. 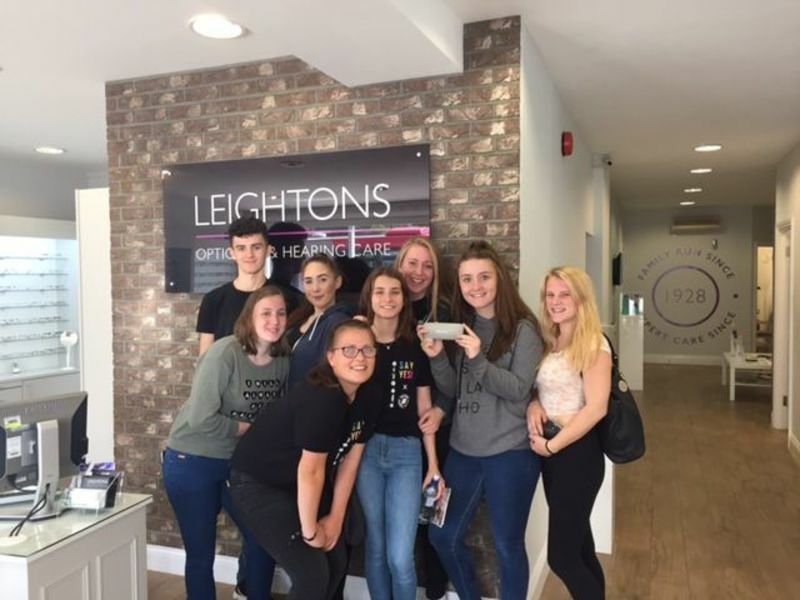 Not wanting to miss an opportunity to help a local charity out, Leightons Epsom donated a pair of Calvin Klein sunglasses, retailing at £59 – in return for an iPhone 6 phone case! We can’t wait to see where they end up – what started as a single paperclip will give the Douglas Brunton Centre some much deserved support. The team will be continuing to swap their items for another few weeks, we can’t wait to hear where our sunglasses end up! The fundraisers were working together as part of The National Citizen Service, a programme designed for teenagers between the ages of 15 and 17 years old to gain new friends and new experiences. You can see more about the work they do on their website. Epsom offer a wide range of sunglasses, which can also have your prescription in. For more information, or to book an eye test, you can contact us on 0800 40 20 20.